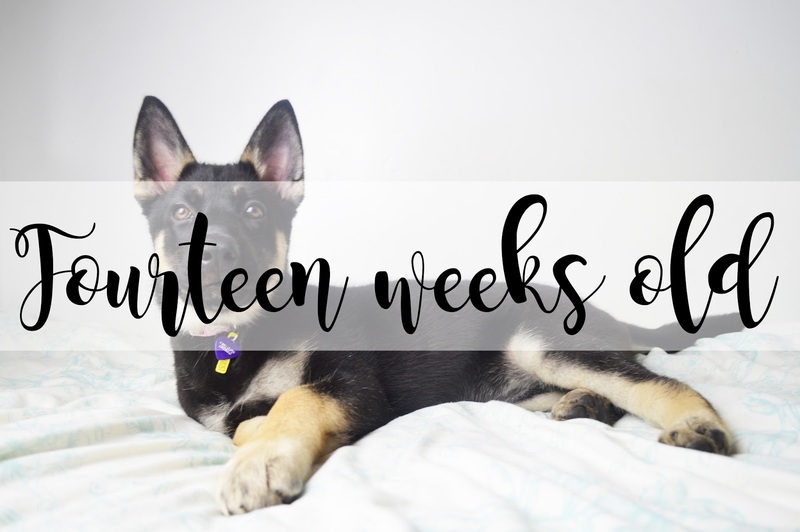 I know many of you are still interested in how Willow is getting on and I'm always asked so many questions so once again I'm sharing another update with you now that she's fourteen weeks old. So last week Willow had her last injection, thank heavens! To be honest, we cannot complain; she was always an absolute angel at the vets and never had an issue when it came to going there. Last week she actually sat on the scales as soon as she was lifted onto the table as that's her usual routine when visiting the vets! It definitely cracked a smile. Willow has now reached that stage of pulling on walks! But when she's walking on her own, she isn't as bad! It's weird how a dog just randomly starts pulling when the previous five weeks she hasn't pulled. However, we're keeping our fingers crossed and hoping she'll get out of the pulling stage. Or she'll just stay that way forever, we'll see. Soon it will be the time to meet Milo (my boyfriend's Red Welsh Border Collie), he is absolutely stunning and three weeks younger than Willow, meaning he's very small compared to her even though it's only three weeks! We're too worried she'll squish him! If you're interested in German Shepherd's or Huskies then let me know! Although we've had German Shepherd's before, it's definitely a new adaption having her as a husky too; there's definitely many characteristics about a Husky which are completely different to a German Shepherd! And wow, she is going to weigh a lot! Last week she weighed 11.5kg meaning she's probably 12.5kg or 13kg today. Insane! I wish I lost weight the way she puts it on.